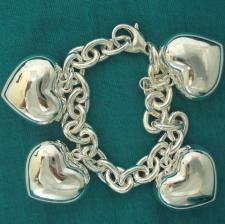 925 silver heart charms bracelet made in Italy. 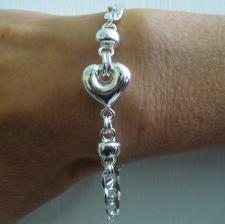 925 silver heart charms bracelet made in Italy. . Sterling silver women's jewelry for sale. You are here: Home > Silver Bracelets > Bracelets with hearts > 925 silver heart charms bracelet made in Italy. 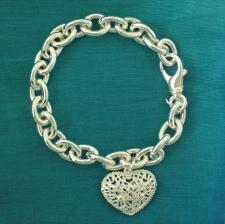 Online sales of sterling silver bracelet ''925 silver heart charms bracelet''. 925 silver hollow chain. We remind you that we manufacture directly, it is possible to customize depending on your needs. This silver bracelet, like all the jewels in this shop, is completely produced by hand in Italy, inside our company. For any questions please contact us for email. 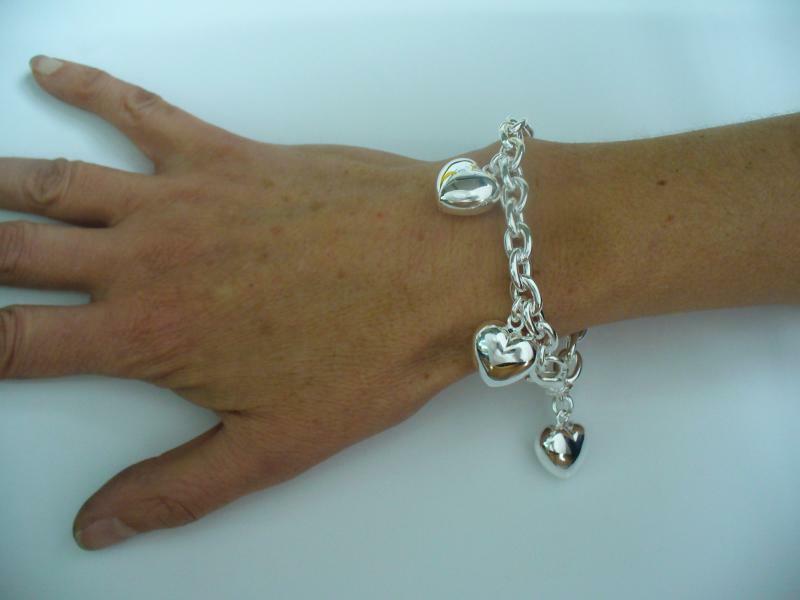 Buying silver jewellery at the factory you will have an excellent weight/price/quality'. All of our jewelry are made of white sterling silver. On request you can put rhodium plating on all our jewelry. If you wish to receive your rhodium plated jewelry, first you have to purchase the item present on the site and then send the request for the rhodium plating to us immediately after via e-mail with the order number. The rhodium plating is free and the price does not change. Once the payment is received we will plate your jewelry. In such a case we will need about 3-4 days more to ship. Our jewelry are all marked AG 925 and 487 AR(trademark) and are absolutly and exclusively made in our manufacturing plant in Arezzo in Italy. The products are processed without nickel, in compliance with EEC regulations in force. Such treatment without nickel ensures its hypoallergenic to intolerance. 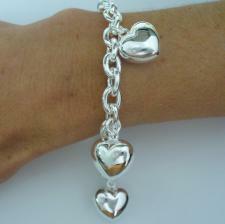 Sterling silver heart charms bracelet. 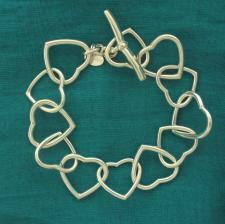 Sterling silver bracelet with heart 16mm. 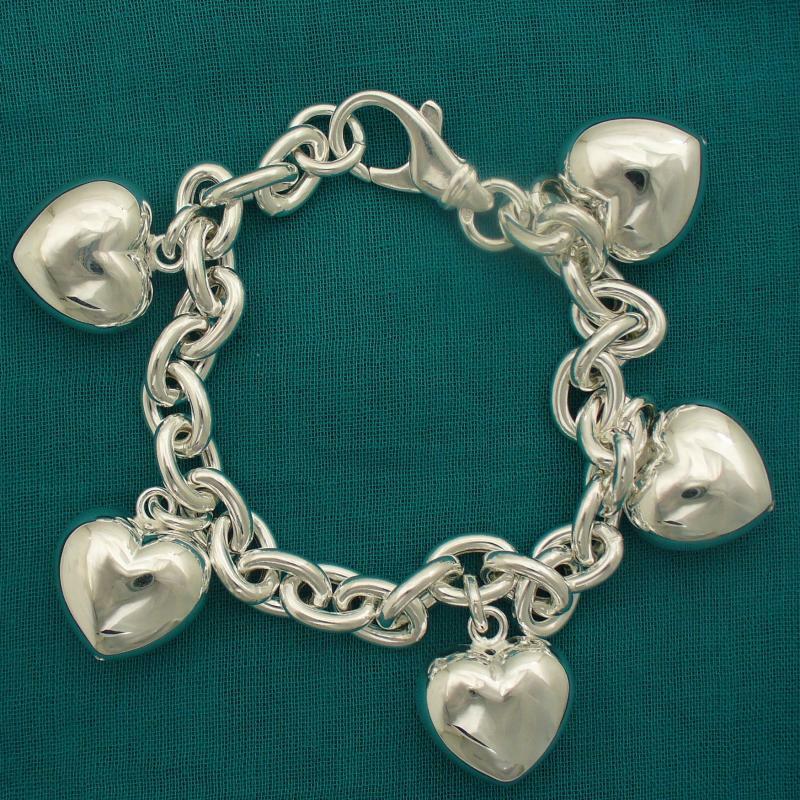 925 Italy silver heart charm bracelet. 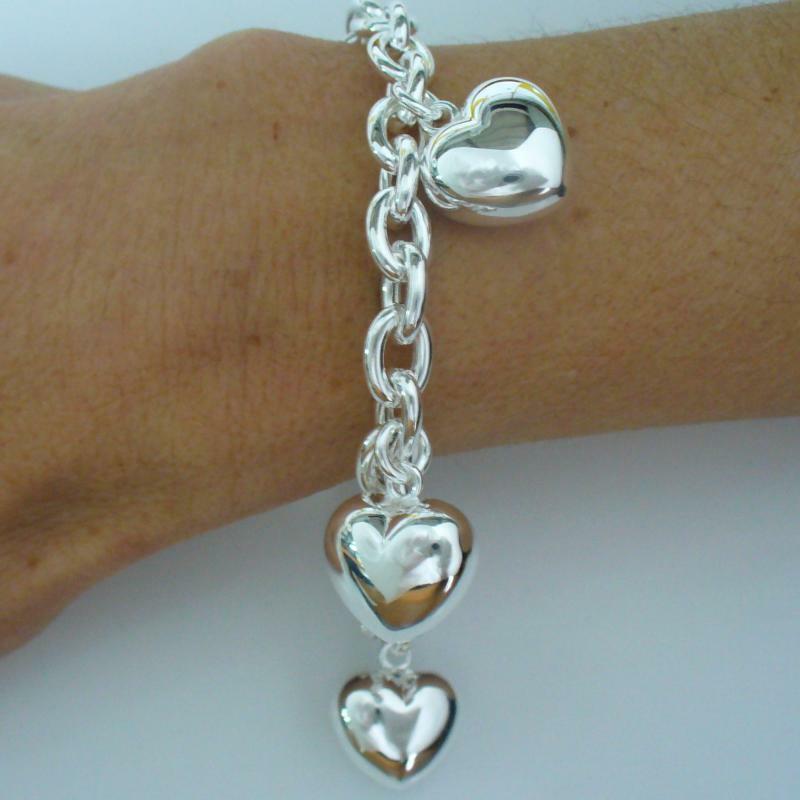 Solid sterling silver heart link bracelet 20mm. T-bar closure. 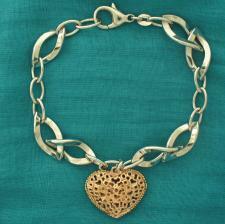 Sterling silver bracelet with 18 kt rose gold plating heart charm.